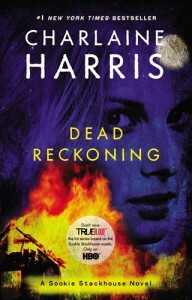 This book seems to set up several things that will likely be factors in the resolution of Sookie Stackhouse's story. It felt exposition-heavy in several places. I'm still charmed by Harris' wonderful attention to regional details, like cheese straws for a baby shower and the kind of punch that was served, but the book ended so abruptly that I felt very frustrated. I feel sure the next one will be better.